Bobbi Brown fragrance and perfume list. Bobbi Brown fragrances: by Estee Lauder (1995). Read more about the Bobbi Brown history. Makeup artist, Bobbi Brown, started her own cosmetics line in 1991. 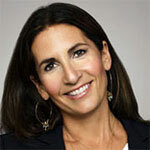 Learn more about makeup artist, Bobbi Brown here.